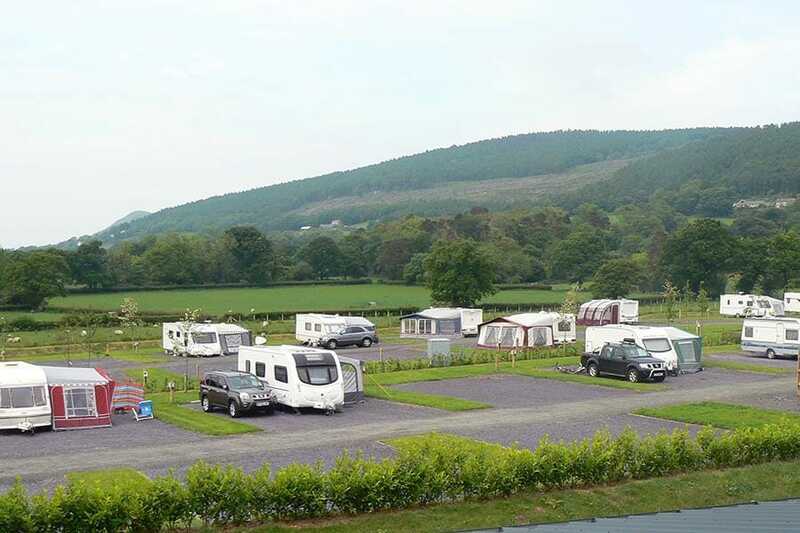 At Rhuallt Country Park in Rhuallt (Denbighshire) camping costs as little as €20,- per night during low season with CampingCard ACSI. At one of the 60 touring pitches you will get a discounted rate during the period 03-01-2019 - 28-02-2019, 04-03-2019 - 18-04-2019, 23-04-2019 - 02-05-2019, 07-05-2019 - 23-05-2019, 28-05-2019 - 30-06-2019 and 01-09-2019 - 23-12-2019. At this campsite you can not only use your CampingCard ACSI for inexpensive camping, you can also use your ACSI Club ID (as an alternative ID). Located 3 minutes from the A55 main road. Perfect for exploring Northwest Wales, 30 minutes to Chester or Conwy, 40 minutes to Snowdonia. Fully equipped pitches on firm ground. Free wifi. Stunning area for walking. 5 star restaurant on the campsite. We booked this site for the May bank holiday week, we were just grateful to find somewhere with a vacant pitch, a lot of places were fully booked. It is a great site, and we will definitely use it again and recommend it. It is a pleasant and easy 2 mile walk along a safe foot/cycle path to St Asaphs, a lovely small town with small shops, cafes, a bit of history and a frequent bus service between Denbigh and Rhyll, where you can link up with other bus routes or the train services. Using the daily rover tickets is very good value. The pitch was nice and level with a shared stand pipe with the next pitch. The Wi-Fi was strong and reliable and free with ACSI, the bar was very pleasant and reasonably priced with good local ale. Great site, Great location. Fabulous camp site! The toilets are large and clean with music. Large pitches, great pub with great food. Would you like to book Rhuallt Country Park or request more information? You can do both using the information below. A55 exit 28 or exit 29. Follow signs. CampingCard ACSI will send your information request to "Rhuallt Country Park".